The truth about cannabis has finally come out after years of lies and manipulation about the effects of the plant. 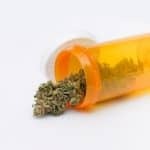 Society finally understands that marijuana not only is a safer recreational substance than alcohol, but also has shown promise in the field of medicine. In fact, cannabis can treat or improve the symptoms of many medical conditions that may not respond to traditional pharmaceuticals. 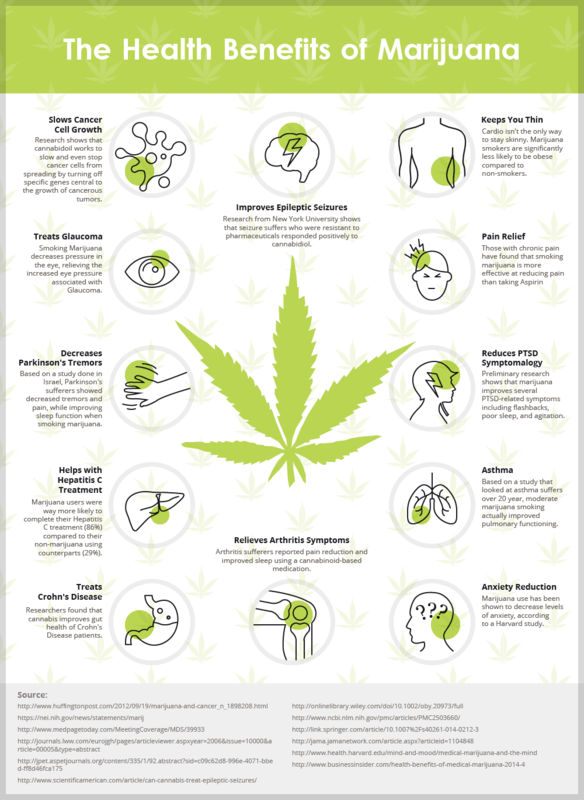 We decided to create an infographic that shows the different medical conditions that can be treated with cannabis with the research source included. Feel free to pin this to your Pinterest page. If you want to use it on your website feel free, but please include a link/source to your page. Slows Cancer Cell Growth-Research shows that cannabidoil works to slow and even stop cancer cells from spreading by turning off specific genes central to the growth of cancerous tumors. Treats Glaucoma-Smoking marijuana decreases pressure in the eye, relieving the increased eye pressure associated with Glaucoma. 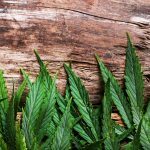 Decreases Parkinson’s Tremors-Based on a study done in Israel, Parkinson’s sufferers showed decreased tremors and pain, while improving sleep function when smoking marijuana. Helps with Hepatitis C Treatment– Marijuana users were way more likely to complete their Hepatitis C treatment (86%) compared to their non-marijuana using counterparts (29%). Treats Crohn’s Disease– Researchers found that cannabis improve gut health of Crohn’s Disease patients. 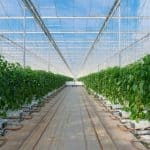 Improves Epileptic Seizures-Research from New York University shows that seizure suffers who were resistant to pharmaceuticals responded positively to cannabidiol. 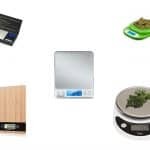 Cannabis Keeps You Thin-Marijuana smokers are significantly less likely to obese compared to non-smokers. Pain Relief– Those with chronic pain have found relief through marijuana was more effective than Aspirin. Reduces PTSD Symptomalogy– Preliminary research shows that marijuana improves several PTSD-related symptoms including flashbacks, poor sleep, and agitation. 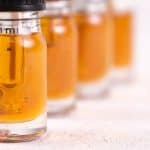 Asthma-Based on a study that looked at asthma suffers over 20 years, moderate marijuana smoking actually improved asthma sufferers’ pulmonary functioning. Anxiety Reduction-Marijuana use has been shown to decrease levels of anxiety, according to a Harvard study. Relieves Arthritis Symptoms– Arthritis sufferers reported pain reduction and improved sleep using a cannabinoid-based medication. Thank you so much for this truthfully educational info-graphic. These and others like it are integral in spreading real cannabis education to the world. It is in my best interest for all educational resources regarding cannabis to be as credible as possible. 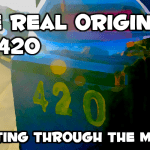 Misspelling is not acceptable as it detracts from credibility to those looking for any excuse to call us stoners. 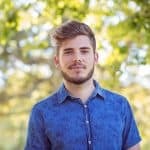 Please fix “cannabidoil” to cannabidiol and perhaps not cite the Huffington Post? Maybe cite the Huffington Post’s source since the Huffington Post is not the most credible news source as we’ve seen in recent months as of Feb 2019. That cancer study was not originally published in huffpost. I mean these points in the kindest way possible. If we are to spread the truth, let our standards for truth be higher than anyone trying to debunk the magnificence of this incredible plant. Thanks for your feedback, but we aren’t going to go back and change the inforgraphic.